What Happens When a Merchant Receives a Mastercard Chargeback? Each card network handles the chargeback process differently. 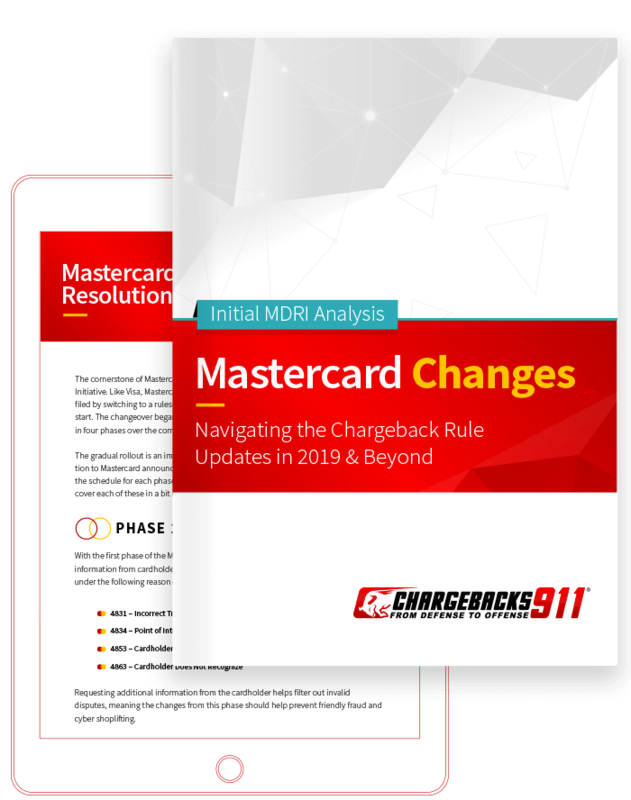 A detailed understanding of Mastercard chargeback regulations will help a merchant successfully prevent and dispute chargebacks from this particular card network. Each phase of the Mastercard chargeback process is designated by network-specific terms. With a clear understanding of each stage, merchants are able to determine what their response or course of action needs to be. First Presentment: The original transaction is processed. First Chargeback: The transaction is disputed by either the cardholder or the issuer. Second Presentment: The merchant submits (re-presents) the transaction again with evidence to contradict the chargeback (this is commonly known as chargeback representment). Arbitration Chargeback: The issuer disputes the representment (known by Visa as a pre-arbitration chargeback). Arbitration: The issuer, cardholder, and merchant are unable to reach an agreement. A Mastercard representative arbitrates outside the chargeback process. All the major card networks publish their regulations and guidelines for merchant review and use. In order to ensure the business is using best practices in credit card transactions, the merchant must be familiar with the requirements of each network. Mastercard’s chargeback regulations, outlined in a 570-page guide, can be found here. These guidelines are updated regularly, typically in April and October. To maintain compliance with the network’s regulations, it is essential for merchants to regularly check for new versions of the guide. Compliance with these strict network guidelines is the responsibility of the merchant. At Chargebacks911®, we do our best to educate merchants about essential chargeback management topics. However, our broad-themed publications should not be considered a definitive guide. To remain up-to-date on network expectations, merchants must consult Mastercard’s official guide. Appoint an in-house chargeback manager whose primary responsibility is to stay current on the latest trends, regulations, and chargeback activity. Outsourced chargeback management is the most effective option for most merchants. It is more efficient, produces better results, and offers better ROI. The merchant is free to focus on running the business, and the hired chargeback professional has the knowledge base and resources to quickly and efficiently handle the dispute. The management of chargebacks is based on network-developed reason codes. Each network has its own set of reason codes, and they are assigned by the issuing bank according to the consumer’s claim. For a more detailed explanation, check out our detailed knowledge base post. In order to ensure both the cardholders’ and merchants’ rights are upheld, all parties involved must adhere to the chargeback time limit of the applicable reason code. Mastercard chargebacks adhere to a strict time line. Most of the time limits are based on the Central Site Business Date, which is counted as day one. The Central Site Business Date will vary based on which stage of the chargeback process the dispute is in. The chargeback filing deadline for cardholders is quite lengthy, usually 120 days. This means merchants can unexpectedly receive a chargeback months after the successful completion of a transaction. For a complete listing of cardholder time limits for each individual reason code, check our detailed blog article. Unlike cardholders, banks and merchants have a much smaller window of time to dispute chargebacks. Acquirers must respond to the issuer’s actions within 45 calendar days of the Central Site Business Date. Because the acquirer acts as the middleman and has various responsibilities before and after the merchant’s involvement, the merchant usually only has 5-10 days to complete the business’s representment responsibilities. While there are valid reasons for transaction disputes to occur, the majority of chargebacks are the result of friendly fraud. Because of this, representment is an essential task—for all chargebacks from all networks. In addition to recouping revenue that should have never been lost, challenging chargebacks can positively benefit merchants in their dealings with consumers and banks. When merchants successfully dispute chargebacks, consumers learn there are consequences to fraudulently filing disputes. Consumers who lose a chargeback may be liable for the original transaction amount, plus any applicable fees and fines. Consumers learn that a guaranteed refund is best handled through the merchant’s return policy. Representment sends a powerful message to issuers. Banks begin to take note of the merchant’s innocence in fraudulent chargeback claims, and scrutinize future chargebacks more carefully. The dispute process improves the merchant’s relationship with the bank, and thereby helps to prevent future chargebacks. The bank will work harder to avoid representment from merchants who successfully dispute chargebacks. The merchant is notified by the acquirer of a chargeback, including the network’s reason code. The merchant consults Mastercard’s regulations to determine the documentation needed to dispute the chargeback for the specified reason code. The merchant submits a debit or credit card chargeback rebuttal letter, along with any compelling evidence, to the acquirer. The acquirer submits the documentation to the network for review. The network reviews the dispute and submits the evidence to the issuer. The issuer evaluates the documentation and in favor of either the merchant or the cardholder. Successful chargeback disputes in favor of the merchant result in the transaction being re-deposited into the merchant’s account. Networks constantly assess risks and threats posed by financial institutions and merchants. One method of evaluating merchant risk is through the Excessive Chargeback Program. The use of predetermined chargeback thresholds allows Mastercard to evaluate and predict the risk of chargebacks. 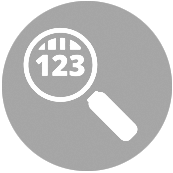 Chargeback thresholds are calculated with a chargeback-to-transaction ratio. This ratio is the number of first chargebacks processed in the current month divided by the number of transactions in the previous month. Mastercard holds acquirers responsible for monitoring this ratio and taking action when a merchant has surpassed the acceptable threshold. To minimize their own liability, acquirers will often take punitive action when it appears the merchant might breach the thresholds, which is much sooner than the network instigates penalties. Mastercard has two chargeback monitoring programs. Excessive Chargeback Merchant At least 100 chargebacks At least 150 basis points (1.5% chargeback ratio) A merchant earns this title if the thresholds are exceeded for two consecutive months (trigger months). The merchant remains in this category until the basis points drop below 150 for two consecutive months. Additional information can be found in our Excessive Chargeback Program knowledge base article. Do you know the unique characteristics of a Mastercard chargeback? Mastercard chargebacks aren’t vastly different from transaction disputes made with other card networks. Unfortunately, they are all equally cumbersome to manage and damaging to the business’s longevity. If you are struggling to manage Mastercard chargebacks or even just understand the guidelines, contact Chargebacks911® today.